CruisingNow.com is passionate about traveling and exploring our world, just like you! We can offer you customized vacations tailored to your preference! Whether it's adventure or sporting, wine/culinary experiences, nature, art or history, or relaxing at the pool or beach, we have exclusive special offers, and personalized service for you! CruisingNow.com always finds you the highest quality travel experiences and the best values for your money on cruise and land vacations! 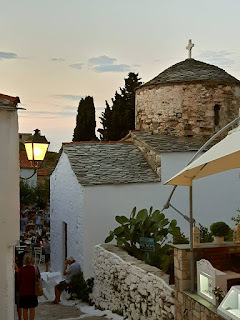 Skopelos, the Greek island made famous from the movie, 'Mamma Mia!' ten years ago, is still as beautiful as ever, and evokes that carefree island feeling of youthful passion, although you will now be sharing it with many others. Pictures like this one here stir thoughts of escaping to the Mediterranean, swimming in those crystal clear warm waters, and relaxing at a whitewashed taverna on the beach under a shady tree...Those pulsing Abba rhythms go nicely day or night with this island. I have to admit, I listened to the movie soundtrack quite a bit as I prepared for this trip, as well as in the car, on the beach...it's still in my head. 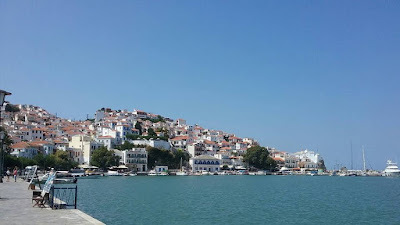 Skopelos Town charms visitors at first sight, as they arrive into port on the ferry from a neighbor island ,Skiathos, where the flights come in from all around Europe. The whitewashed buildings, narrow winding cobblestone streets and the lush mountains in the background make a postcard setting. It feels like it could be a movie set. Along the waterfront and within the city streets you can find many excellent tavernas serving traditional Greek food, some with live music. Many taverna owners will bring you into their kitchens to look at their food before you look at a menu! Food is delicious and prices are very reasonable in Greece! If you are into exploring, you can start off right from town and go hiking up the many mountain roads to visit some of the country churches, small villages and monasteries on the island. The peaceful silence in the mountains, the fragrant scent of wild rosemary and flowers and the incredible views over the town and the sea are your reward for your climb. Remember to bring water! 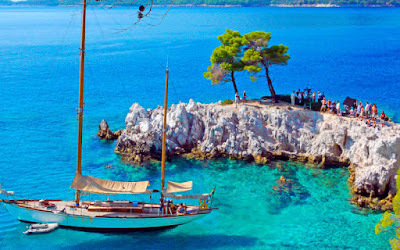 Skopelos has a variety of some amazing beaches with crystal clear water and dramatic rocky cliffs. They are mostly pebble or flat stone beaches and most are well equipped with tavernas, beach loungers and some watersports. You can also find some where you need to bring your own food and water and just lay your towel on the rocks. There is some decent snorkeling around the reefs on the island. Finally, this is the Mamma Mia! island, where the hit movie/musical was filmed in 2007, so there are still tourists choosing to come to this island partly because of that. I wouldn't say the island is exploiting the movie for tourism, but they do show the film 3 nights a week in a charming outdoor theater in town. If you happen to be walking down one of the streets nearby at night, you can hear the music in the dark! The famous scene in the movie at the little church of Agios Ionnis on the rock is probably the most visited movie location. It is located at the top eastern coast of the island. 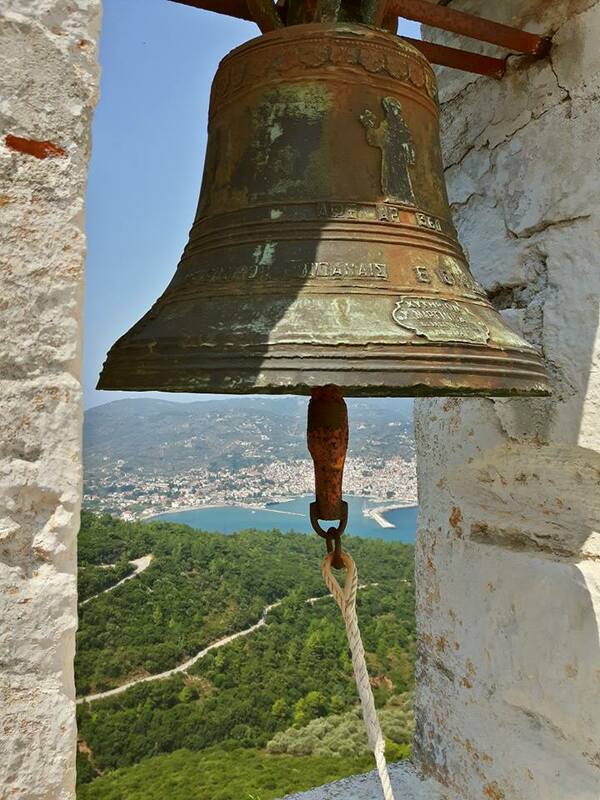 Climb the 110 steps to the top, like in the movie for spectacular views of Skopelos and Alonissos. There are many tour buses to take you here, or you can rent a car. It's a great drive, about 1hr from Skopelos town, up some steep windy roads. Parking at the end of the road and getting out can be a little tricky when it's crowded! Then there's also Kastani Beach, where they were all dancing on the pier, but that's been taken away now. You can take a ferry from Skopelos to Alonissos, an island about 45 minutes away. 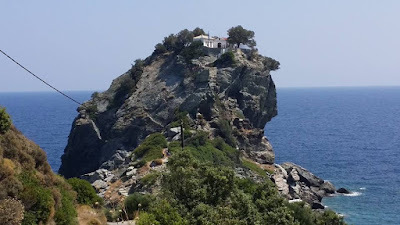 I stayed for a week on Alonissos first before going to Skopelos, and the contrast between the two islands is noticeable. Alonissis is much calmer, with less tourists, less expensive and has a very relaxed, more authentic Greek feeling to it. The town is not crowded, the locals are friendly and very nice....I discovered the first night that I had forgotten my toothbrush in Copenhagen and went up the street to a little pharmacy to buy one...The store was open, just two elderly Greek ladies sitting and talking inside...When I selected my toothbrush, they motioned and tried to explain the cash register was closed, but then just smiled at me and said, " Take, take...tomorrow.." So, I happily thanked them and said I would come back tomorrow to pay-just an example of how things are there. 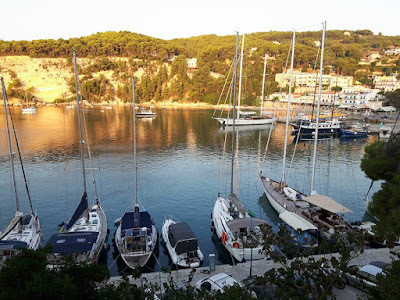 The harbor at Patitri is beautiful, filled with sailboats, fishing boats and a few luxury yachts, and surrounded by mountains and the town on the hillside. -Morning in Patitiri, on Alonissos,Greece. Alonissis has a beautiful Old Village, Chora, up on the top of the mountain. Buses run frequently from Patitri to Chora and back, but you might also want to try walking up to the Old Town and take a bus back. 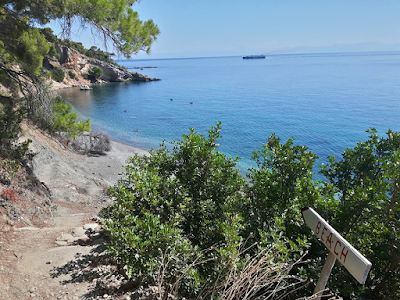 The path is an old donkey trail, and steep, but you will pass through olive groves, the air is filled with the scent of rosemary and the sounds of chicatas, and you will work off the delicious dinner you that awaits you in Old Town! It's about a 4km(2 1/2 miles) walk. There are many different tavernas, shops, and charming old buildings, squares and churches to explore, and beautiful views of the island. 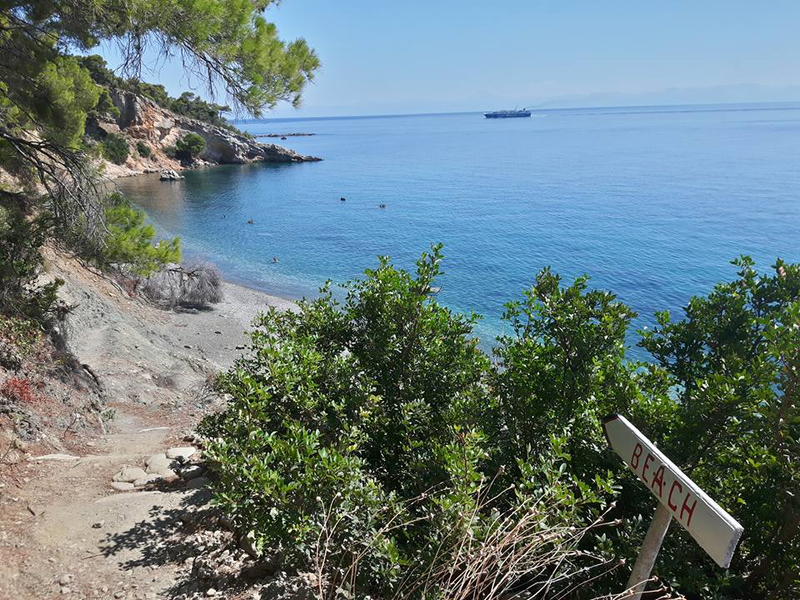 The beaches on Alonissos are also amazing! Crystal clear blue waters, good snorkeling, and there are both beaches equipped with all facilities, as well as incredibly beautiful secluded beaches. If you are looking for a Greek island escape with charming quiet villages and intimate restaurants and beaches with mostly Greeks instead of other tourists, try Alonissis. or better yet, combine it with Skopelos for a truly amazing Greek holiday experience! Voulez vous! WOW! 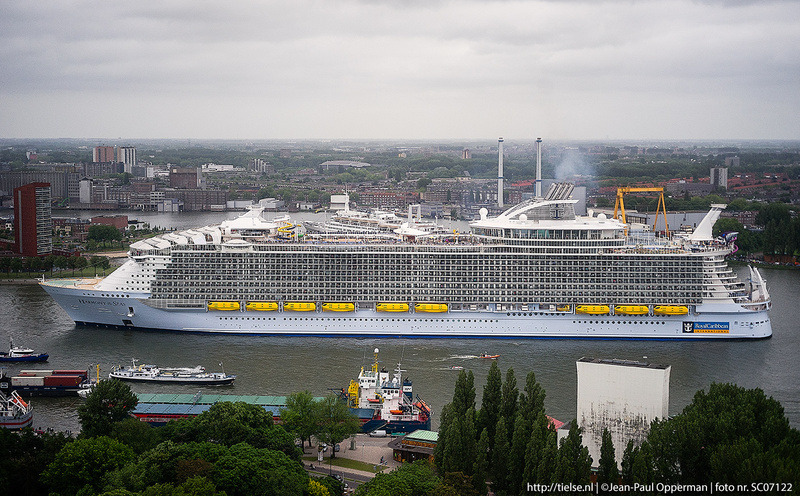 Royal Caribbean's most amazing NEW ship, Harmony of the Seas currently sailing 7night Mediterranean cruises from Barcelona and Rome, then 7nts Eastern and Western Caribbean from Fort Lauderdale starting in the fall. 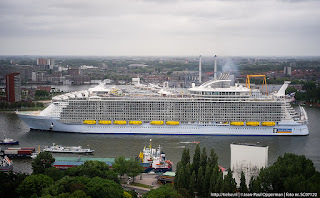 Harmony of the Seas has 3 nerve racking water slides, GREASE-the musical!, 2 Flow Riders, the Bionic Bar, and much more. I think this would be fun for a week! 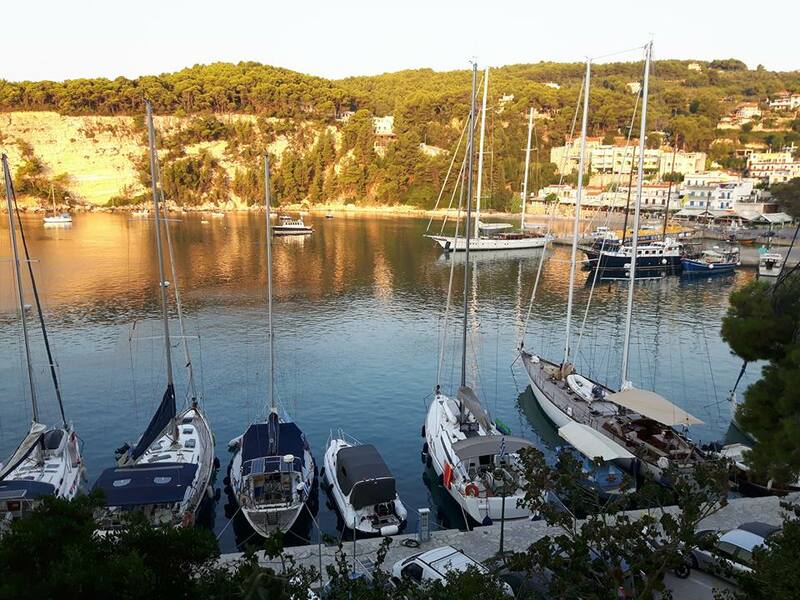 Experience Croatia's Old World Charm on Exciting Baltics Journeys! Landmark Sale - Up To $1,000 Shipboard Credit On Select Sailings with Princess Cruises! Ready, Set...Sail | Up to $300 Shipboard | Credit 50% Reduced Deposit | And More with Holland America Line! Sail the Brand-New AmaMagna Beginning May 2019 with AmaWaterways! See New Zealand with Swain Destinations - With Something For Everyone! Reserve a Foodie Vacation with Europe Express by May 31st and Enjoy 10% Savings! See the World with G Adventures' National Geographic Journeys to Iceland, Africa and Peru! Receive $1,000 Savings per Couple on Select 2018 Abercrombie & Kent India or Indochina Small Group Journeys! 2018's Hottest Cruise and Tour Deals! CruisingNow.com always finds you the highest quality travel experiences and the best values for your money on cruise and land vacations! Call us at (800)-603-1271 or email info@cruisingnow.com. 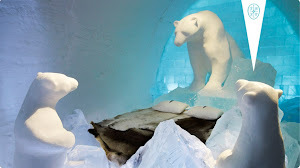 ICEHOTEL-World's largest hotel made of ice and snow! -in Jukkasjärvi, Sweden, 200 kilometers north of the Artic Circle. Let us help you plan an awesome trip to SWEDEN! 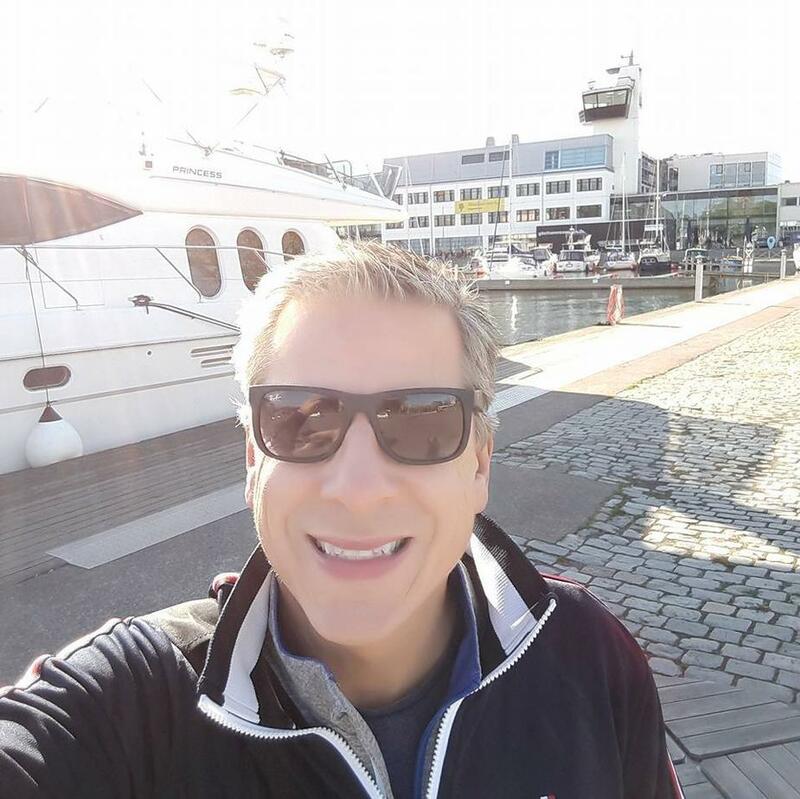 Dave has over 20 years experience as a sales and customer service team manager and trainer in the travel industry, beginning in 1986 at Certified Vacations. In 2009, Dave launched CruisingNow.com with the aim of providing customers the highest quality travel experiences with personalized, value-based service. In 2009, inspired by his long relationship with Sweden (he and his Swedish wife, Carina have been visiting Sweden almost every year for 20+ years! ), Dave relocated from Fort Lauderdale, Florida to the Swedish island of Öland, in the Baltic Sea, where he manages CruisingNow.com's sales and service, with additional service support from the FROSCH Pompano Beach office. He is also currently employed as a mother-tongue English teacher and translator in Kalmar, Sweden with approximately 70 students. After several years of Swedish classes, Dave now speaks Swedish reasonably well! School summer vacations are now when he takes advantage of the opportunity to see and experience new places in Europe to share with his clients.